Unlike consumer durable goods, high technology products have shorter life cycles. Many companies launch new items at a fast rate of innovation. As a result, the latest products often compete in the same market with earlier-generation products. In addition to brand-new products, used products returned by early-adopting customers still have significant value. Returned products can be restored using the remanufacturing process and offered to other customers. Therefore, multiple generations of new products and remanufactured products can be available side-by-side in the marketplace. New products are affected by technology obsolescence, while the remanufactured products are affected by quality and technology obsolescence. The prices of each product should be adjusted according to the product value and the customer perceived value over time. 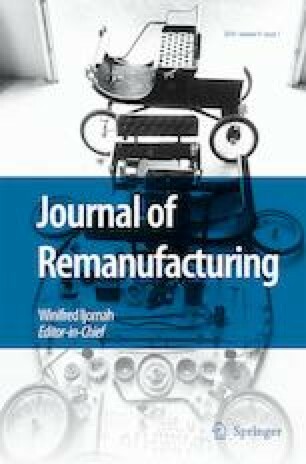 This research paper discusses pricing considerations for new and remanufactured products across multiple generations. The iPhone is used as an example because it is a high-tech electronic product with a short life cycle. In this study, pricing data of the new and remanufactured products of different generations is extracted from eBay. Factors that influence pricing and interaction among these factors are identified. In addition, price trend functions with the average quality and the technology depreciation rates are proposed.